"Now is the time to strongly voice our support of victims of sexual harassment, as well as to affirm that no school should turn a blind eye to the harassment of the students it is duty-bound to protect." We stand up for justice and the civil rights of our students. STAY INFORMED: Sign up for our email list. Schools should serve, educate, empower and — above all — be safe for all students. 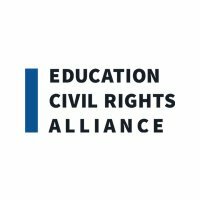 But today our students’ civil rights are increasingly under attack around the country. We’re coming together to fight back by providing resources to help school districts protect students, and by taking legal action when they fail in that duty.